A truly bad murder mystery involving an alcoholic fashion designer staging a comeback in her career gives a private showing at her mansion over a weekend to prospective clients. But someone starts killing off the models with such weapons as poisoned hair spray and make-up. 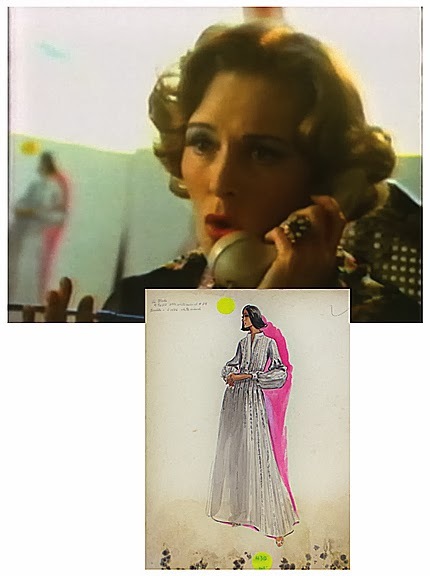 A far cry from her appearance as the Baroness Schradear in The Sound of Music, Eleanor Parker chewed the scenery as "her girls" dropped like flies and the buyers rejected her designs. 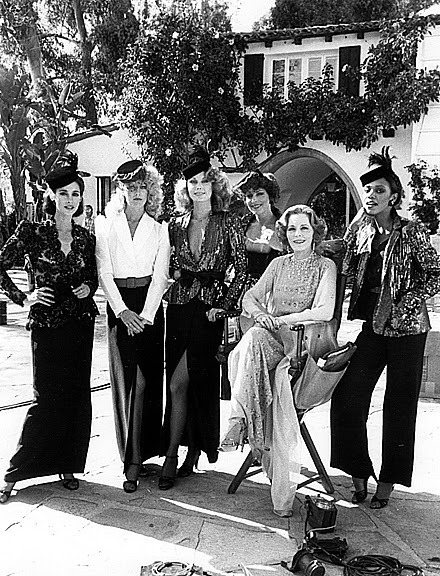 Connie Selleca, Gail Joy, Cathee Shiriff, Joanna Cassidy, Eleanor Parker and Gail Joy in Travilla. "Madame" Regine Danton's mansion was only reachable by suspended gondola. The Palm Springs Aerial Tramway was cast. 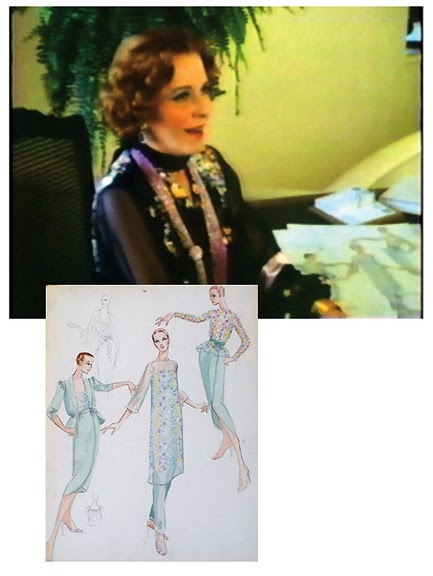 Not only were Travilla's designs used in the film, but dozens of his sketches for his regular fashion line were used as props. These are the only two which I have found so far, as I can only stomach so much bad acting at one sitting. Part one of the film is below.